With this pneumatic arm, you can position a LCD monitor up to 13 kg. 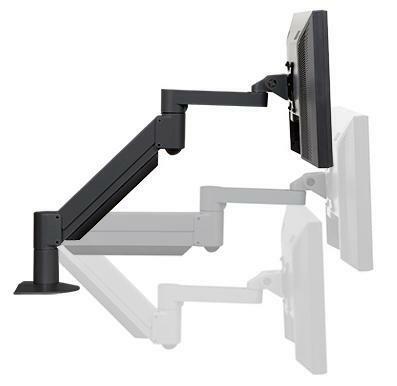 Once you adjust the arm in relation with the weight of the monitor, you can move the monitor but the arm will stuck in the last position you set up. Compatible with VESA.